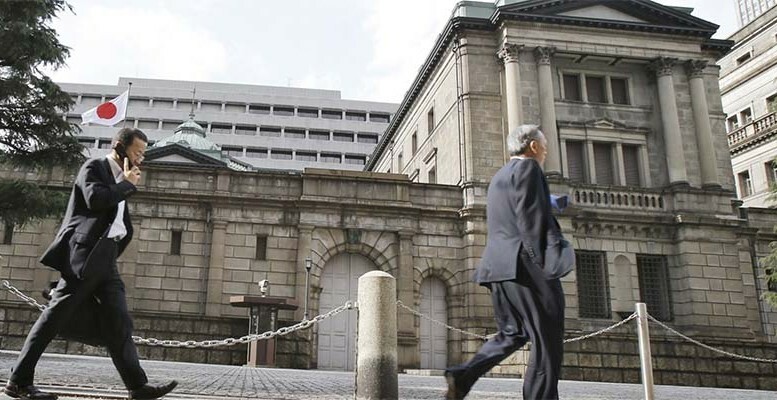 Francesco Saraceno | We learned a few weeks ago that the Bank of Japan has walked one extra step in its attempt to escape lowflation, and that it has committed to overshoot its 2% inflation target. A “credible promise to be irresponsible”, as the FT says quoting Paul Krugman. This may be a long overdue first step towards a revision of the inflation target, as invoked long ago by Olivier Blanchard, and more recently by Larry Ball. This is all too reasonable: if the equilibrium interest rates are negative, if monetary policy is bound by the zero-or-only-slightly-negative-lower-bound, higher inflation targets would make sense, and 4% is an arbitrary target as legitimate as the current also arbitrary 2% level. Things may be moving, as the subject was evoked, if not discussed, at the recent Central Bankers gathering in Jackson Hole. We’ll see if anything comes out of this. But the FT also adds an interesting comment to the BoJ move, namely that the more serious risk is a blow to credibility. If it failed to lift the inflation to the 2% target, how can it be credibly believed to overshoot it? This is a different sort of credibility issue, much more reasonable indeed, than the one we have been used to in the past three decades, linked to the concept of dynamic inconsistency. In plain English the idea that an actor has no incentive to keep prior commitments that go against its own interest, and hence deviates from the initial plan. Credibility was therefore associated to changing incentives over time (typically for policy makers), and invoked to recommend rules over discretion. Today, eight years into the zero lower bound, we go back to a more intuitive definition of credibility: announcing an objective and not being able to attain it. The difference between the two definitions of credibility is not anodyne. In the first case, the unwillingness of central banks to behave appropriately can be corrected through the adoption of constraining rules. In the latter, the central bank cannot attain the objective regardless of incentives and constraints, and other strategies need to be put in place. The other strategy, the reader will not be surprised to learn, is fiscal policy. Monetary dominance is in fact a second tenet of the Consensus from the 1990s that the crisis has wiped out. We used to live in a world in which structural reforms would take care of increasing potential growth, monetary policy would be used to take care of (minor) demand-driven fluctuations, and fiscal policy was in a closet. This is gone (luckily). Even the large policy making institutions now call for a comprehensive and multi-instrument policy making. The policy mix, a central element of macroeconomics in the pre-rational expectations era, is now back. Even the granitic dichotomy between short (demand driven) and long (supply driven) term, is somewhat rediscussed. The excessively simplified consensus that dominated macroeconomics for the past thirty years seems to be seriously in trouble; complexity, tradeoffs, coordination, are now the issues discussed in academia and in policy circles. This is good news. *This post was originally published in Sparse Thoughts of a Gloomy European Economist.